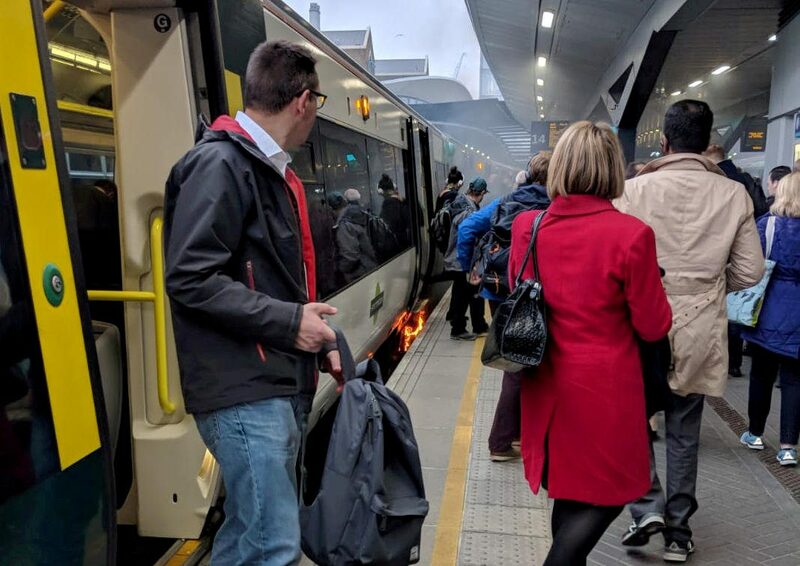 Rush hour commuters were forced to disembark through thick smoke after a packed train caught fire at one of Britain’s busiest stations. The Southern train had just arrived in London Bridge when its brakes went up in flames. 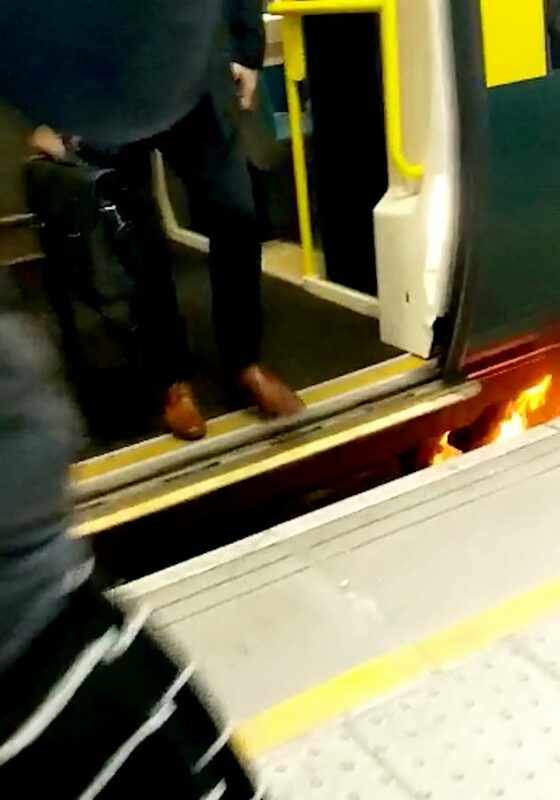 Frightened commuters were seen stepping through plumes of smoke as they rushed to get off the train, as flamed licked the sides of one of the carriages and smoke billowed down the platform at the iconic London station. 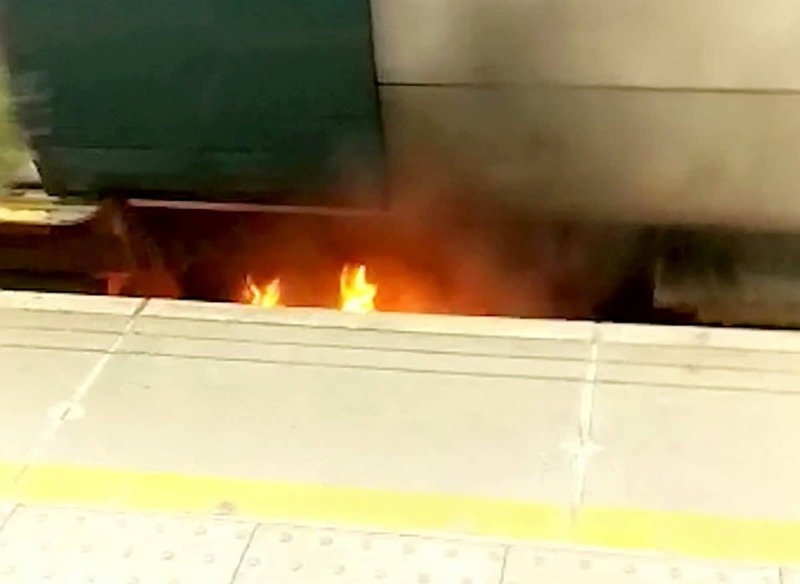 The fire, on the Caterham to London Bridge service, shut down at least three platform and commuters were hit with lengthy delays. A witness said: “London Bridge could have ended up burning down. “People were stepping out of the train and into plumes of thick smoke. “I didn’t hear any announcements on the train at all – people were literally walking through fire to get off. Fire trucks lined up outside the busy station while commuters voiced their frustration on social media. A spokeswoman for London Fire Brigade said: “Two fire engines and an aerial ladder platform have been called to reports of a fire on the train tracks at London Bridge station. “The brakes on a passenger train are alight. “All passengers have been removed from the train. “There are no reports of any injuries. “Station staff have isolated the power on three tracks at the station to allow fire crews to gain access to the track. “The Brigade was called at 8.41am. 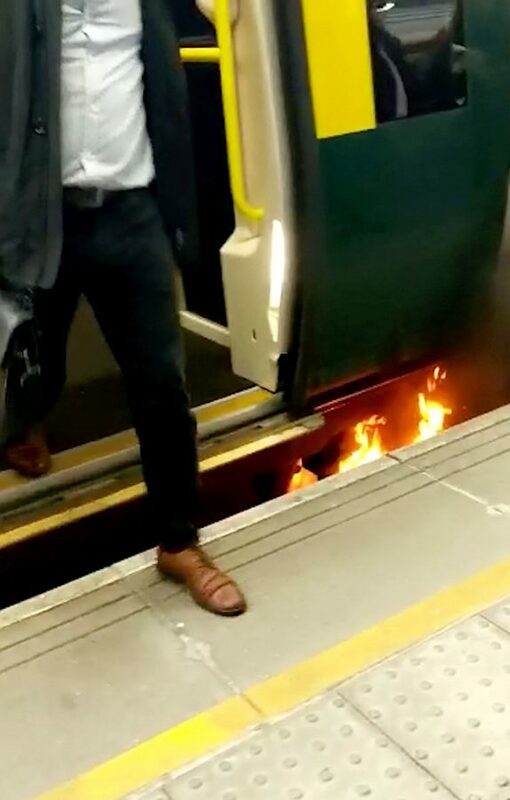 A spokesman for Southern Rail said: “A fire on a train at London Bridge has resulted in some platforms being blocked. British Transport Police confirmed the fire had been quickly extinguished. A spokesperson said: “Officers were called to London Bridge station at 8.50am this morning following reports of a small fire under a train. “Colleagues from the London Fire Brigade also attended and the fire was quickly extinguished.